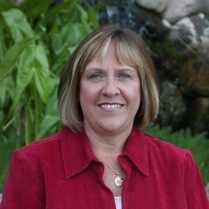 Glenda Pearson, Author, Certified Recovery Specialist, Reiki Master, Munay Ki Practioner, Reflexologist & Intuitive Guide. Her book, “But Should the Angels Call for Him”, speaks of her personal loss through the death of her only child, Chad, who died in an accident while traveling abroad and catapulted her onto the path of being of service to others. By working through her grief, Glenda has found her true calling of serving others while on Mother Earth. She conducts workshops on healing the heart within. She also serves as a guest lecturer for international and national conferences, university classes, funeral homes and churches. Using different modalities, Glenda breaks down cultural myths in the bereavement process. She embraces unique tools guiding others to find balance and healing on their journey through grief.